Hitman Professional Pest Control, and Hitman Termites (BSA license 1129194) a fully owned subsidiary of Hitman, is an Australian business leading the way in providing pest control and pest management services to domestic and commercial properties throughout the Brisbane, Gold Coast, Sunshine Coast, Logan and Ipswich area. Hitman, Hitman Termites and its BSA licensed pest technicians will tackle just about any pest problem you may have, specialising in the treatment of cockroaches, ants, spiders and silverfish, for a flat rate of $250, no matter the size of your home. 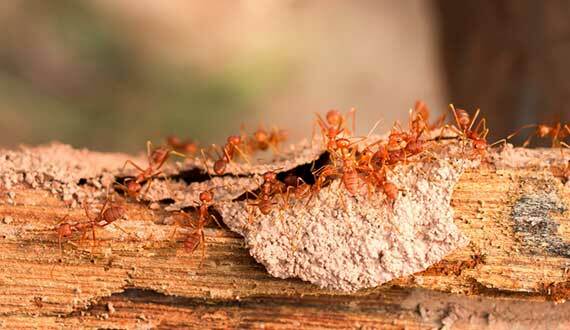 Not only will Hitman pest technicians treat your home, they will also provide you with a 12 month service warranty even on ants and spiders, so if you have a problem with any of these pests, Hitman guarantees to retreat the problem areas free of charge. Hitman Termites also offers a free annual termite check with every pest treatment, through their VIP pest control package. Full 12 month service warranty, even on ants and spiders, inside and out of your home. Our comprehensive VIP pest control package includes a free annual termite check. When you book within 2 weeks of your due date, we'll charge the same price, year after year. All Hitman termite checks and treatments will be performed by Hitman Termites Pty Ltd (BSA 1129193) or a BSA licensed Hitman pest consultant. Details of the licensee and the licensee’s license can be obtained by request prior to the commencement of any work. Want to be a hitman or hitwoman? If you would like to own a highly profitable business and benefit from exceptional franchisee support, opening your own Hitman Professional Pest Control franchise may be just the opportunity you are looking for!